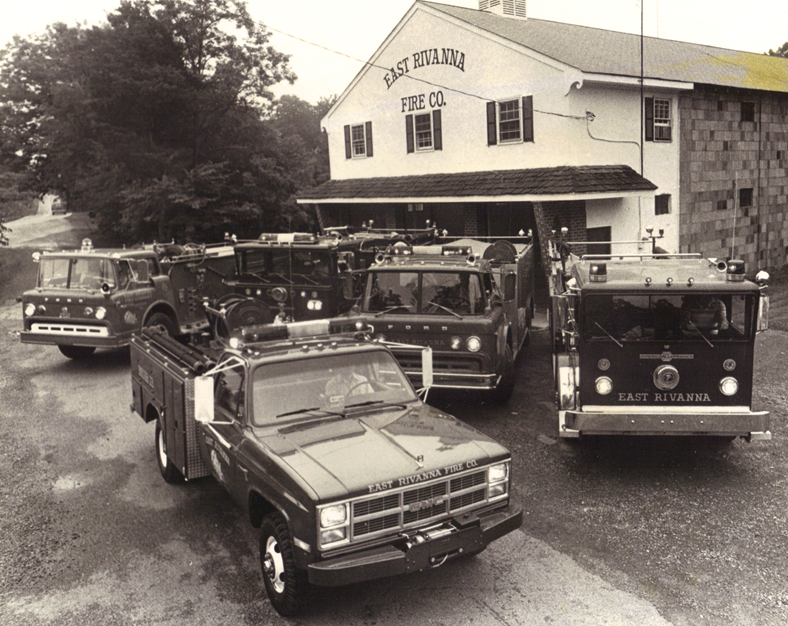 Our History — East Rivanna Volunteer Fire Co. 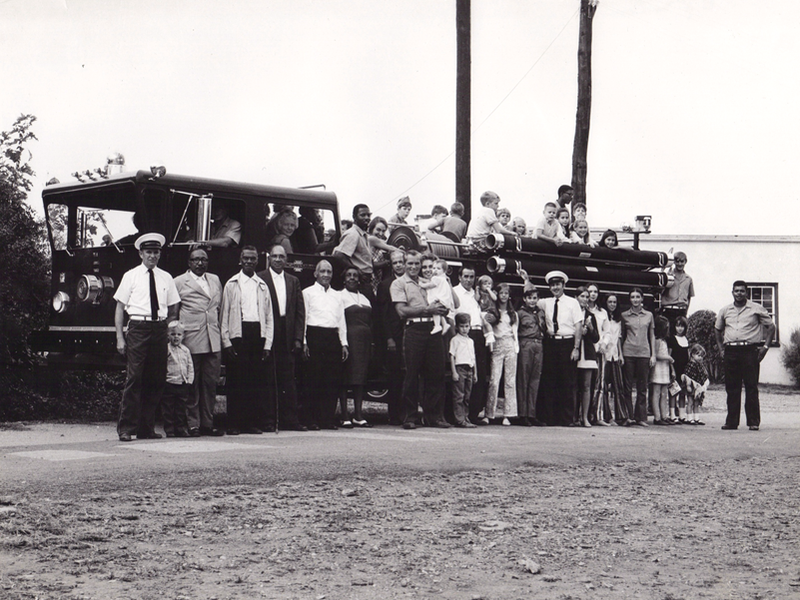 The East Rivanna Volunteer Fire Company (ERVFC) began operations as a non-profit service organization in March of 1969, and the first fire station was dedicated on October 11, 1970 in Keswick, Virginia. The original fire house and the adjacent railroad station were central to the life of the community. 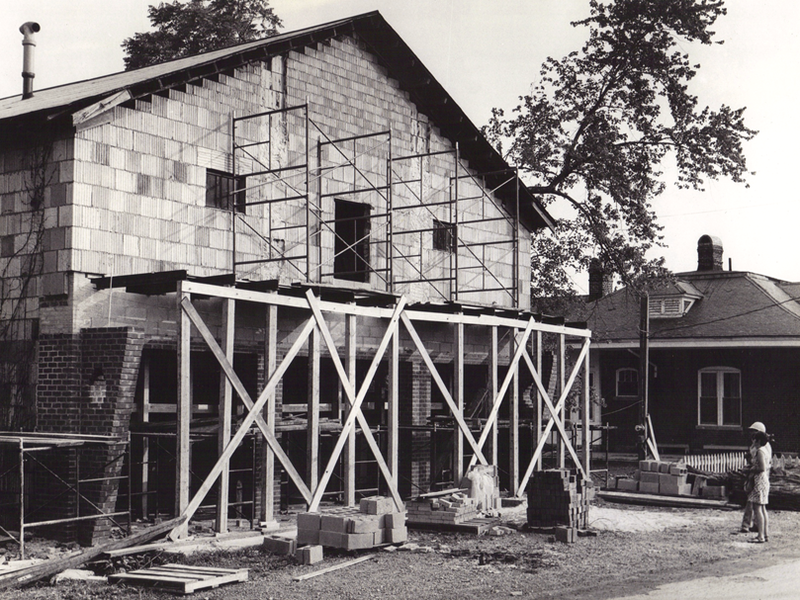 The fire house building, which later housed Jackson's Feed Store and then The Pine Shop, is now home to the handiwork of Stokes of England Blacksmithing Company. Our first fire chief, Scott Nesbit, and Board President, Lou Flanders, could always count on a cadre of volunteers to answer the 50 fire calls the first year. The original mission was to prevent and suppress fires. The 1990s brought a tremendous change to ERVFC and its mission. In addition to its firefighting duties, ERVFC became an Emergency Medical First Responder unit. This new responsibility, combined with a larger service area and the need to modernize, led the ERVFC to relocate to its present, upgraded facilities at Glenmore. The major features of the new fire house include: dormitory housing for our all-night duty crews; a greatly expanded bay area for the vehicles and apparatus; a designated regional emergency shelter; a training room, which is now utilized by all of the volunteer fire companies in Albemarle County; and a banquet hall that is available for community use. When operations began at the new station in November of 1992, ERVFC acquired its first new fire engine in more than 20 years. At that time, the increase in population in our service area brought with it residential and commercial development. The population has continued to grow since then, and in response to new growth and development we continuously attempt to ensure we are prepared to meet the increase in demand for our services. To be prepared to meet and effectively respond to the needs of our community, ERVFC has to ensure that our volunteers are fully trained and have adequate equipment. This includes functional personal safety and protective gear, medical emergency response equipment and supplies, and functional and serviceable fire fighting apparatus. All of these items require significant funds to obtain, operate, and maintain. A long term goal of ERVFC was to improve our ability to provide timely response to the community's calls for emergency assistance during normal, weekday working hours. Through the cooperation of Albemarle County Department of Fire Rescue and the generous support of Albemarle County officials, four career firefighters were assigned and began providing daytime service from the ERVFC fire house on December 17, 2007.